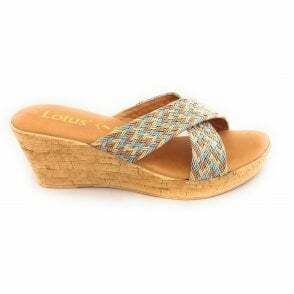 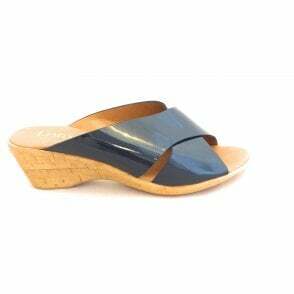 Combine comfort and style this holiday season with these Rachelle mules by Lotus. 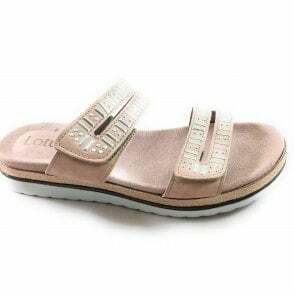 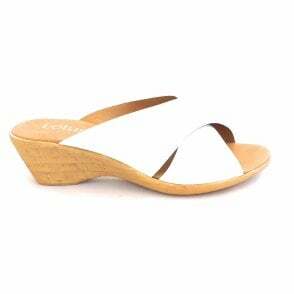 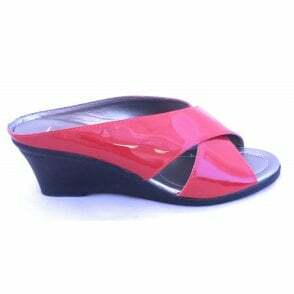 The open toe slip on design features an adjustable velcro strap for a comfortable fit. 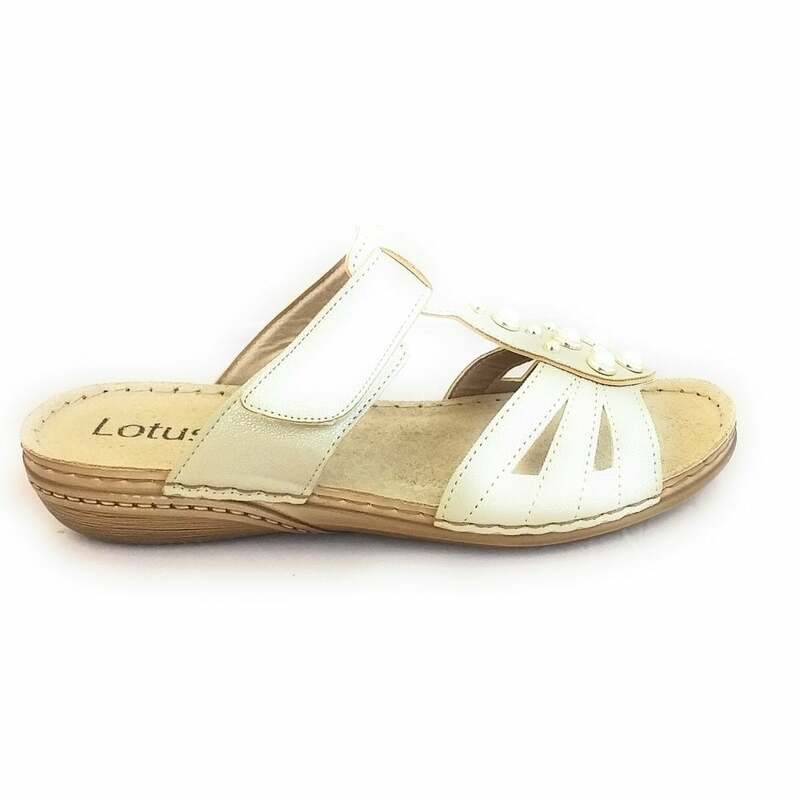 The gold metallic upper is finished with attractive pearl and gold stud embellishment.